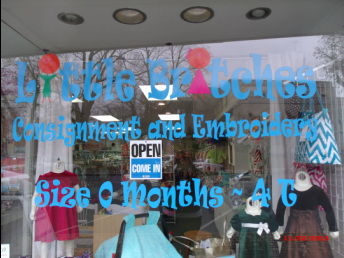 Little Britches Consignment and Embroidery is an upscale children's consignment store. We are located in downtown Henderson, Kentucky. We offer monogramming and embroidery for our merchandise as well as items purchased elsewhere. We are the only shop in the downtown Henderson, KY area that does the monogramming and embroidery on site.